For the care of the aged skin you are at the right address at Het Cosmeticahuis. This skin type benefits from a specific care that is specially made for this skin. If you do not know exactly what your skin type is, then it might be an idea to visit a beautician. He or she can tell you exactly what your skin type is. Do you already know that you have an aged skin , but do not know how to best care for it? Read on, on this page we tell you all about it. This skin type seems very easy to recognize by the slack, wrinkles and lines of course. However, there are more features of skin aging that may be less noticeable or known. This skin can also suffer from poorer circulation, pigmentation and coarser pores. The skin can also be dull and dull, or dry due to a shortage of moisture and fat. Fortunately, Het Cosmeticahuis has all the products that help to take care of this type of skin. The first cause of skin aging is exposure to the sun. It is therefore important not to expose the skin to the sun without using sun protection. Smoking is bad for health anyway, but also visibly affects the skin and causes skin aging. Sleeping with make-up is also really a scrape: this ensures that the skin gets wrinkles faster. Proper cleansing can help the skin tremendously. For every skin type applies: a good care of the skin starts with a good cleaning. Clean the skin every morning and evening, even if you have not worn make-up or it looks like the skin is not dirty. The skin is always contaminated by the air in which it is located all day long. Good cleaners for this skin type are cleaners that do not clean too aggressively. A milk or oil is a good choice. Cenzaa Velvet Creamy Milk is a milk that cleans gently, just like Tyro Rosa Canina Cleansing Milk . The Hannah Cleansing Oil is a good example of a very suitable cleaning oil . For the older skin, it is also important to gently exfoliate the skin once or twice a week or to use a peeling. This removes dead skin cells, which makes the skin appear more radiant. Care products are also better absorbed through the skin. A mild peeling is the hannah Enzymatic Skin Peeling . The Oolaboo Ageless Peeling provides a safe and highly effective removal of keratinized skin cells. Would you rather scrub? The Oolaboo Super Foodies gentle scrub is a wonderful soft scrub that does not damage the skin. After cleansing the skin, he must be provided with a good cream. An anti-aging cream is of course very suitable for this type of skin. The Juliette Armand Wrinkle Correct Cream ensures that the signs of skin aging are visibly reduced and boosts the production of collagen. The Tyro Superior Anti-Age Night Cream is an intensive night cream to combat multiple signs of skin aging and an excellent choice for the night. The Oolaboo Ageless face cream is also a great choice and has natural UV filters. Occasionally applying a mask is not only very nice and relaxing, but also very good for the skin. This skin can use some extra hydration and care. Good choices include the Tyro Supreme Anti-age Mask and the hannah Cell Active . 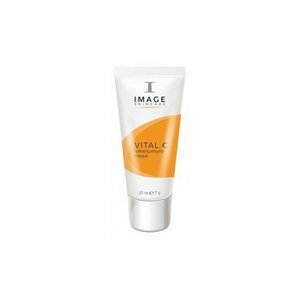 What is important for every skin, but especially for the older skin, is good sun protection. The Cenzaa Sunshield is a good choice, because it not only protects against the sun, but also actively counteracts skin aging. The Juliette Armand Sunfilm Face Gel is a sun protection that can be applied over the daily care, if you like to use your daily creams. Do not go into the sun unprotected!